Nearly three years ago I married my now husband Keith and added two amazing kids to my life. 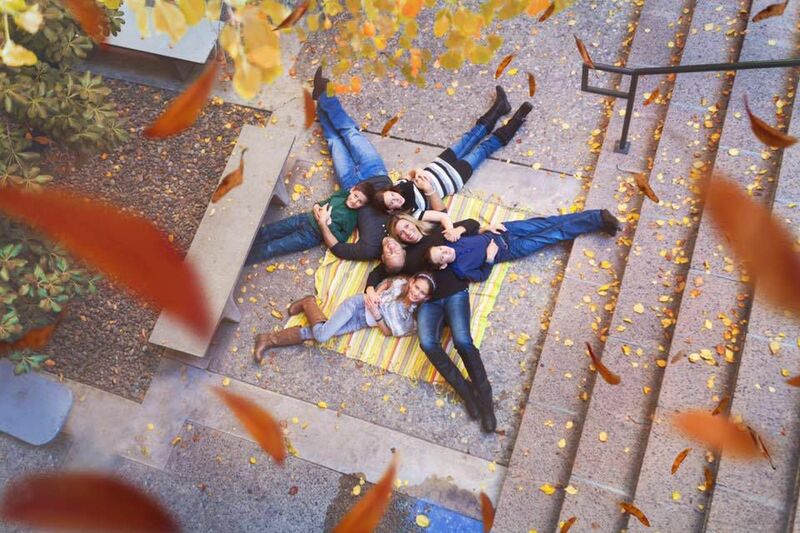 Keith, of course, added two kids to his life as well and we became a blended family of six. It’s complicated, as any mixed situation can be, with widowhood and divorce, but we opted to make the most of it and combine our families. We are like a modern day Brady Bunch, and two weeks of every month we have six and two weeks we only have four. My kids, due to widowhood are always with us and we split custody with his kid’s mom. Keith and I moved two miles from their mom and most days we do this blending thing pretty well, although we are far from perfect. For the first two years, I pushed the “family” thing and figured the more we could show the kids we were one big happy family, the better. We did nearly everything together, from family dinners to vacations, to weekend hikes, and sometimes all that togetherness caused us misery and discomfort. Still, we persisted and felt it was important to set a precedent. That’s when I started to realize that sometimes “blending” causes more problems than it causes solutions. We work with an amazing family counselor (something I think is key to any family trying to blend), and she helps us see issues from all sides. Our oldest daughter was growing increasingly resistant to our blending and becoming more and more challenging for me personally. Now, let me be clear, I adore all four of our kids but you know when things are going right, and we’ve tried to be sensitive to keep a harmonious balance in our lives. One of her primary complaints was not enough parent time, which confused Keith and I as we tend to spend a fair amount of quality time with the kids. There are nightly family basketball games, we always have dinner at home at the table, we watch Ninja Warrior, and we attend school functions and events. How could she feel like she doesn’t get enough time? That’s when we realized that my two kids get us for two extra weeks a month and Keith’s kids rarely get alone time with just him. Additionally, not only do they have to share Keith with two children who lost their Dad, but they also have to share Keith with me….and that causes jealousy and sometimes resentment in young kids who don’t understand the big picture yet. I recalled a trip I took two years ago with just my Addy and Chew and remembered how easy it was and how fun it was to have my kids to myself. They loved being with just mom, and we made priceless memories. We hadn’t done it since (for either family), and I began to wonder why? Was this blending thing going to work if it’s forced? With all these new epiphanies we determined is that the kids need a little “alone” time with their respective parents and that it’s not only OKAY, but it’s a very good idea for all the parties concerned. So Keith and I arranged our summer schedule this year for us each to have our kids ALONE for a few days and take them on SEPARATE adventures. To some, this might seem silly or incorrect, but what I’ve learned about parenting (especially bonus parenting) is that there are no hard and fast rules (kind of like grief) and you have to do what works for you and yours. My kids got out of school first, so we took off the next day and hit a few National Parks and stopped to see friends along the way. We are visiting Grandparents as well and spending time playing in the pool. Keith kids got out, and he took them on their own road trip to an amusement park (so not my thing) which is something they all love and enjoy. This blending thing is hard and I have so much to write and say on the subject, but for tonight I can just say that you have to learn your own family, be open to unique situations and always keep open lines of communication. There are no hard and fast rules to you must live by! I’m missing Keith and our other two kids this week on our adventure but I am sure loving every second with my two, and I know they can say the same. We are picking our battles and deciding that blending isn’t always in our families best interest. 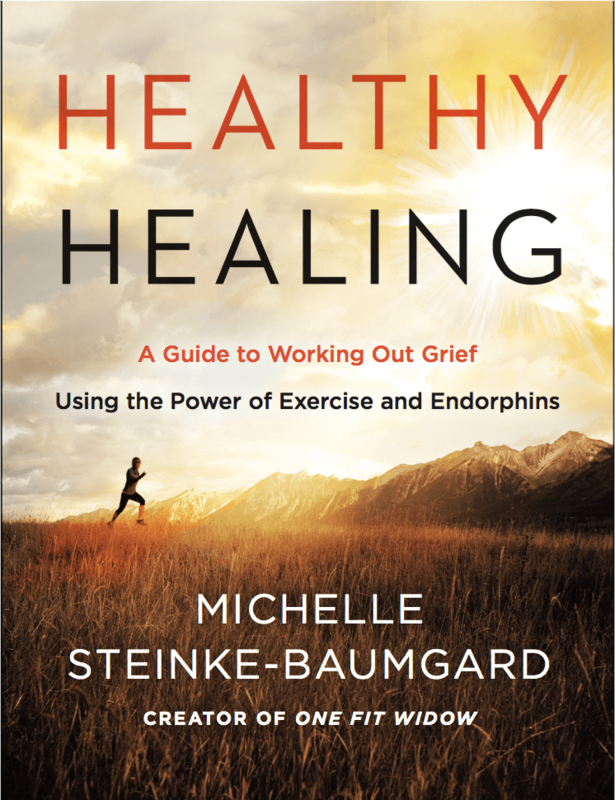 Michelle Steinke-Baumgard is an author, speaker, fitness coach, mother and remarried widow. After losing her husband Mitch in 2009 she turned to exercise as an outlet for grief and a way to handle stress. Michelle found it so powerful that she eventually quit her corporate job to become a fitness trainer. Since then Michelle has been featured in Fitness Magazine, Shape Magazine, Woman’s Day Magazine, contributed to articles for Prevention Magazine, The Huffington Post, and countless other media outlets. In addition to her virtual training business, Michelle recently launched her own non-profit focused on helping widows and widowers complete bucket list dreams to honor their late spouse while moving boldly into their future. Don’t miss a blog or an inspirational post from Michelle. Sign up for our mailing list! TELL ME ABOUT MY DADDY….